We’re great fans of Sony’s ultraportable and high-end notebooks but we’ve never been too taken with the company’s entry-level machines. The main problem is they tend not to live up to the build quality or innovation of the more expensive machines. 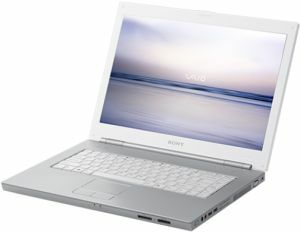 However, the VAIO VGN-N31M/W may be about to change all that. With a street price of £699 (inc. VAT) this is about right for a mainstream machine capable of handling a wide range of tasks. The look of the notebook is impressive. 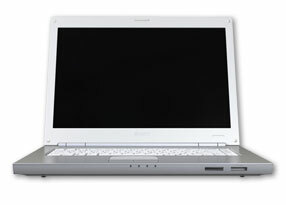 The white plastic case with silver keyboard is certainly striking and the feel of it when closed is solid and robust. Most of this rigidity is in the lid, which neatly protects the screen. Open the lid up though and you’ll find the body of the machine isn’t quite so solid. T5300: » Further information can be found in our Comparison of Mobile Processsors.